Key Difference: LLC (Limited Liability Company) and corporation both are legal entities with different features and characteristics. A corporation refers to a form of business ownership which is authorized by law and is constituted by one or more persons to act as a single person. A corporation is legally endowed with various rights and duties. LLC also act like Corporations in many ways but primarily differ in liabilities as LLC owners are not liable for any debts and liabilities of LLC and also provides tax efficiency and operational flexibility of a partnership. 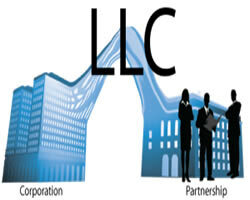 LLC (Limited Liability Company) and corporation both are legal entities with different features and characteristics. A corporation refers to a form of business ownership which is authorized by law and is constituted by one or more persons to act as a single person. A corporation is legally endowed with various rights and duties. LLC also act like corporations in many ways but primarily differ in liabilities as LLC owners are not liable for any debts and liabilities of LLC and also provides tax efficiency and operational flexibility of a partnership. A corporation can be described as a legal entity, which is owned by shareholders. It has legal rights and liabilities, and may work for profit or not for profit. In case of profit, the profit is first reinvested in the Corporation and then among the stockholders in the form of dividends, as decided by the president of the Corporation. In a limited company, the liability of the members or subscribers of the company is limited to what they have invested or guaranteed to the company whereas, the limited liability company is a type of legal structure that provides the limited liability and has been formulated by blending characteristics of partnership and corporate structures. Various retirements, stock option and employee stock purchase plans are only valid for the Corporations. 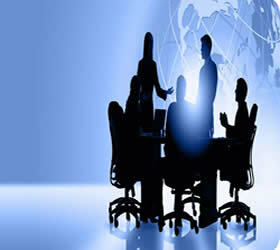 Corporations are subject to hold regular meetings of board of directors and shareholders. The minutes are recorded in written. LLC’s do not require holding such regular meetings. Corporation profits are not subject to Social Security and Medicare taxes whereas LLC’s salaries and profits are subject to self employment taxes. Corporation’s ownership is defined by stocks issued by it whereas any LLC does not issue stock. Choosing between forming a Corporation or LLC is a very important decision which can affect one’s personal liability and also the tax situation. Only Members and managing members of the company. Generally, state law outlines the required governing structure of an LLC. Not much paperwork is required. One time tax: the profits and losses of the LLC "pass-through," to the owners of the LLC. The LLC can have any number of members, including one. Obtain an EIN; Draft and sign LLC Operating Agreement. Well informative, more so on providing descriptive chart the difference between a Corporation and a LLC.